A unique evening of Spirit Communication and Psychic Insights. This is an intimate upfront and personal evening. 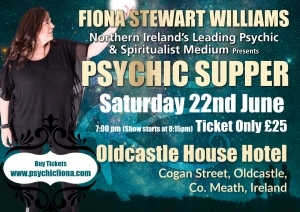 Where everyone is guaranteed to have a little psychic something and spend time with Fiona. 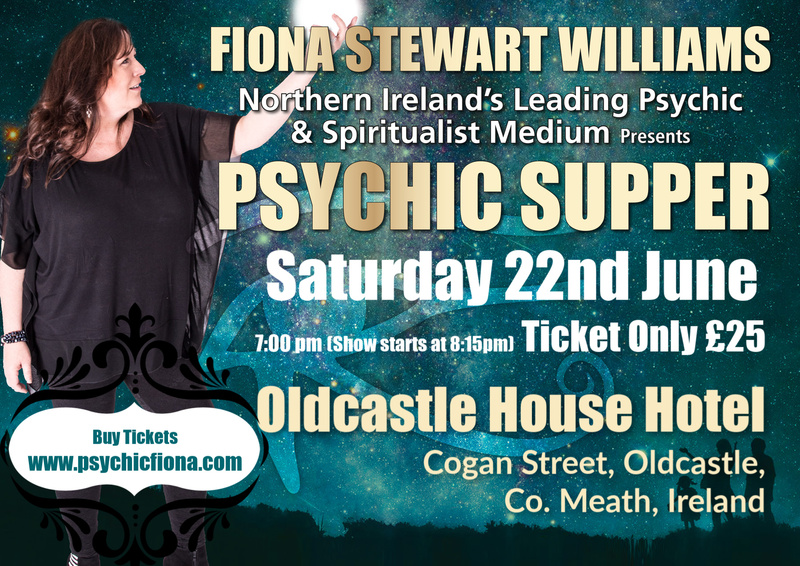 Enjoy a buffet style supper with Tea and Coffee and a magical evening with Internation Psychic Medium Fiona Stewart Williams demonstrating one of the oldest forms of mediumship with a modern twist. Flower Sentience. Participants are asked to bring a photo of that very special person they wish to connect to in the spirit world. This event is a ticket only event due to the very small numbers of places available.